Since 1988, The Law Offices of Joseph A. Marra located in Yonkers, the Bronx and Somers, NY has been dedicated to protecting our clients’ legal rights. 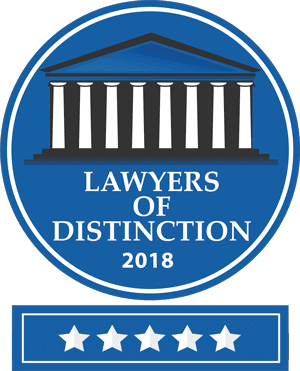 We represent our clients’ best interests in matters of Personal Injury, Elder Law, Wills, Trusts and Estates, Real Estate, Small Business, Divorce, Estate Planning and other practice areas. We are committed to defending your rights and freedoms, and will work with you to develop an effective path toward achieving the results you desire at a reasonable cost. We strive to ensure your voice is heard in the legal system. Our team is aggressive when we need to be, but we are also compassionate and attentive to your needs. We are large enough to provide a team approach, yet small enough to avoid the bureaucracy of larger firms. Personal injury matters are handled on a contingency fee basis, where there is no legal fee unless we are successful in attaining a monetary recovery. Other matters, such as general litigation matters, are billed on an hourly basis. The preparation of wills and trusts and other estate planning documents, as well as residential real estate closings, are usually billed on a flat fee basis. Some matters may be billed in a combination of ways. If you have been injured due to the negligence of others, you might be entitled to compensation. Call us today to review your case for free. Elder Law is a complex area of the practice of law that encompasses, among other things, planning to protect your assets in the event nursing home care is required and drafting the appropriate legal documents . Not many attorneys are knowledgeable enough to assist you effectively. But we can! Allow our team to help your family plan for the future handling of property, finances, healthcare, and the future care of you and your loved ones. Our team understands the complexities and stress of divorce. Allow us to protect your rights and ensure the best outcome for you.